This message purports to be a transmission of a secure message from a company called "fiserv.com," a mobile banking services company. The sender address, however, is "nacha.org," which is a completely different (and unrelated) group that oversees the ACH network (a key player in electronic fund transfers). The NACHA name has been used for some time as a cover for fraudulent mailings of various types (see https://www.nacha.org/node/983). 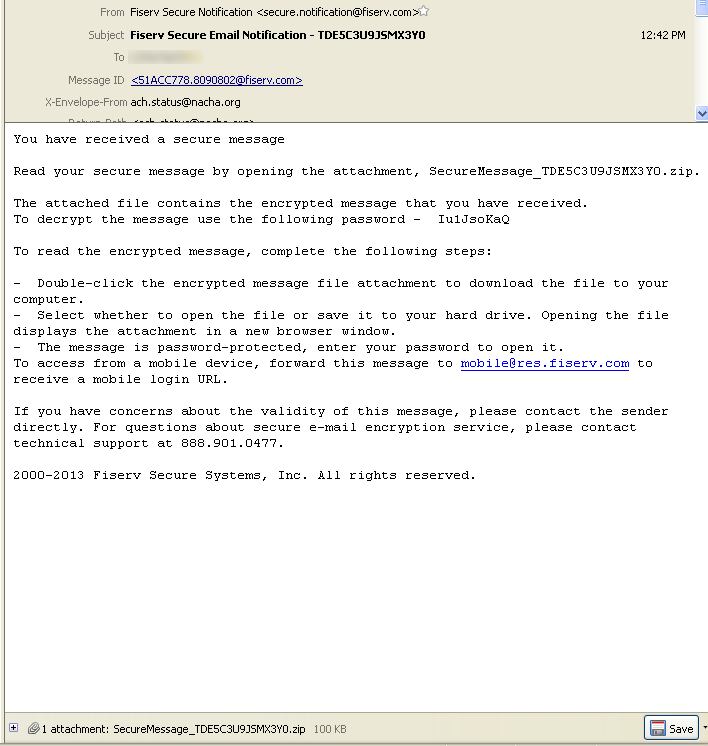 This particular mailing is an attempt to get you to open and execute an infected attachment. This email should be regarded as SPAM and deleted.